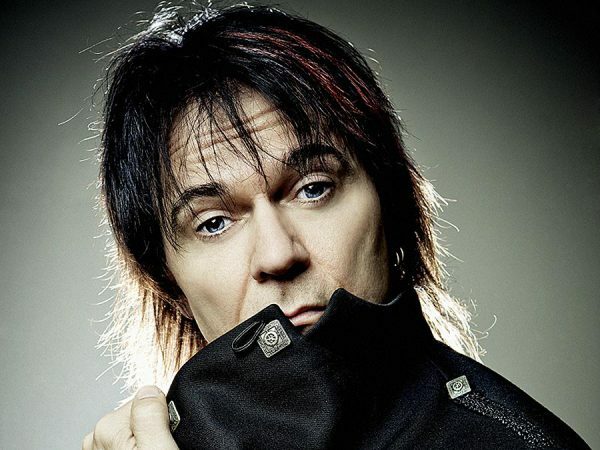 Royal Flush recently picked the brain of Styx lead singer and keyboardist Lawrence Gowan following the band’s gig at NY’s Jones Beach. The frontman opened up about topics such as the group’s current tour, their latest album The Mission, and the landmarks he likes to visit when Styx performs in New York. Royal Flush: The Mission has been out for just over a year now. Now that you’ve had some time to fully process it, what are your thoughts on the finished product? Lawrence Gowan: Great question. Whenever you make an album, especially one that you love, you really begin to second guess all the tiny details just before it comes out, thinking this or that could be the thing that makes the difference of it being a success or a failure. But with this record, we were really able to look each other in the eye and feel like this was our best work. We really wanted it to be able to stand beside the classic Styx albums of the past. One year later, I’d say it’s the most galvanizing thing that we could’ve done. It’s the kind of experience that I really wanted when I first joined the band 20 years ago. I’m so happy that it actually happened, that we pushed forward, and did the record the way it was done. For me, it’s a statement of this lineup of Styx. The new songs that we’ve been playing live seamlessly go into the show and that’s not an easy thing to pull off when you’re doing a show that’s based so heavily on songs that have a long history. We’re so pleased at how The Mission came together. RF: “Gone Gone Gone” and “Radio Silence” from The Mission particularly work well in the set. LG: I love the audience reaction when “Radio Silence” ends and we’re about to play “Miss America.” There are all these people who are obviously big supporters of The Mission and they’re standing on their chairs with their arms in the air and then you see the rest of them going “I don’t know this one…what album is it from?” They’re discovering it through the exuberance of somebody next to them. That’s the magic of a great rock show; you can’t get that on YouTube. That experience just doesn’t exist in the virtual world. You have to be there and you have to experience it with other people. RF: Styx has been touring regularly for several years. How has this current run of dates been going and are you still enjoying playing so often or would you rather slow down and not play as many shows? LG: The hardest part, quite honestly, and actually the only bad part, is the air travel. It isn’t what it once was. The new reality makes it more of a challenge than it used to be. Some days are fine, some days are really smooth, but some days you’re missing connecting flights and there’s all kinds of pressure and mayhem that’s introduced into the equation. But once we get on the tour bus, the whole world becomes our own and nothing interferes with us. The bus is like a rolling 5 star hotel. I sleep better on the bus than I do at home (laughs). The other thing is when I joined the band, and I’m in my 20th year now, James (Young) and Tommy (Shaw) said they wanted to play at least 100 shows a year. That was an easy commitment for me to make because I’d just come off playing 140 shows across Canada and the United Kingdom. Being 20 years into it, I will say there are challenges. I blew my knee out last September on stage. So I’m getting an MRI, thinking I’m going to need surgery and wishing I didn’t have to do the upcoming shows. Then within 20 minutes of being on stage, seeing the people with the smiles on their faces, I’m wondering what the hell was going through my mind earlier. My knee feels fantastic all of a sudden. RF: The adrenaline does it, right? RF: You can tell when bands don’t want to be out there but with Styx, that never seems to be the case. LG: I hear you. Every guy in Styx is plugged into that experience. RF: In The Big Interview with Dan Rather interview, you mentioned that despite being born in Scotland and growing up in Canada, you seem to act as the tour guide, so to speak, for Tommy and James when you visit different cities. Any particular attractions or spots you regularly visit when you’re in New York? LG: Growing up in Canada, I would watch The Bowery Boys and The Three Stooges, things that had a very New York-centric backdrop to them. So I found that really fascinating, just to feel this different vibe than what I was used to in Canada, which at that time was quite British in its feel. I love that as well but New York was just so different. The very first walk I ever went on in New York was to The Dakota where John Lennon was shot. Central Park never gets boring. I love the skating rink there. I love walking around Gramercy Park, right down to the Bowery. One of the greatest days of my life was when I walked across the Brooklyn Bridge. And then on the other side, there was this amazing pizza place. I understand why Woody Allen never leaves New York. Carnegie Hall is another great attraction. I’ve climbed to the top of the Statue of Liberty…but only on the inside (laughs). RF: What’s the background of “Khedive,” the instrumental you wrote? LG: Thanks for asking that. “Khedive” is the name of the ship that my dad was on in the second World War. He was in the British Royal Navy. It was a small aircraft carrier and “Khedive” means an Egyptian ruler. I’m not sure why the British Royal Navy would choose that name. I’d written a piece about 4 or 5 years ago and I hadn’t named it but I loved playing it for my dad. Tommy really liked it and said we should piece it into the show somewhere. So I ended up using it as an intro to “Pieces of Eight” at a lot of shows. But I still hadn’t named it. One day my dad asked what the name of it was and I saw he had a picture of his ship on the piano. So I told him I’d call it “Khedive.” After the show, Tommy said we should make that the name of the ship on The Mission and that we should put it on the album. It really was at his instigation. Tommy and my dad really connected well and my dad loved Styx and he loved rock and roll. RF: What led to you including “Bohemian Rhapsody” as part of your solo? LG: Freddie Mercury was one of those people who had a profound influence on what I wanted to do in life in that he was a piano player, a songwriter, a frontman, a great singer, and an unapologetically flamboyant performer. You could put Elton (John) in that same category. Rick Wakeman too. But that piece of music in particular, I love that it’s a bit of a challenge for the audience to remember all of the lyrics and to their surprise, every audience member knows every word each night. Even if you’re not a Queen fan. That was such a bold piece of music. That middle section was so over the top and pompous and beautiful. That’s why I love doing it. RF: Yeah, it starts slow, then speeds up, then slows down again. The diversity and the intricacy are what makes that song great. And regarding Elton John, I’d compare it to “Funeral for a Friend/Love Lies Bleeding” because of their diversity. LG: You know, “Funeral for a Friend/Love Lies Bleeding” showed that there was even a progressive side to him. You basically nailed it. RF: You’ve recorded three studio albums with Styx – Cyclorama, Big Bang Theory, which consists of all covers, and The Mission. The Mission is a concept album, with a common theme in the songs, while Cyclorama features songs that stand on their own. Which type of record do you prefer making? LG: I think a central theme that holds the record together is better for a band to keep everyone focused on the same thing. It’s good to have a focal point. And some of my favorite records aren’t even concept records but some consider them to be because they stayed within those boundaries. For example, I don’t consider Goodbye Yellow Brick Road to be a concept record, but it feels like it is in a weird way because all those songs are of a similar mindset. So generally speaking, part of my progressive leanings make me want there to be a conceptual aspect. RF: When Styx writes a song, do you know beforehand whether you, Tommy, or James are going to sing lead on it? Or is that decided after? LG: On The Mission, a lot of them were decided after. There was a period when we were making the record of Tommy singing “Gone Gone Gone” and me singing “Hundred Million Miles from Home.” But then when we flipped it back the other way. We redid our vocals and it made more sense. I enjoyed that because I heard a different way of singing it and he did too. Some songs are foregone conclusions. We knew James was singing “Trouble at the Big Show” and Tommy really wanted me to sing “Gone Gone Gone” and I heard him singing “Radio Silence.” The nicest one of all is “The Greater Good” because we trade off on vocals on that one. That puts a bigger smile on my face than anything because I think that’s really entertaining, like in “A Day in the Life” by The Beatles – you’ve got John and then Paul (McCartney) both singing parts. RF: That’s one of the best things about Styx, the trading off on lead vocals. Not a lot of bands do that. LG: I agree. And in the past, you could hear Dennis (DeYoung) singing “Come Sail Away,” then Tommy singing “Renegade.” It’s always been that way. It’s a different perspective. RF: Finally, before joining Styx, you had an accomplished solo career. Do you have any plans to release another solo album? LG: Well, my current focus is with Styx but every year I usually play anywhere from 5 to 10 solo shows. What’s really fun about them is so many Styx fans come to them now because our fans have become familiar with my solo background and some Styx fanatics want to know about every faction and every little nuance of each member of the band, past and present. And I just love seeing that.